We often say, "I'll believe it when I see it." But God says just the opposite...that we will see it when we believe it. True faith is finding certainty in uncertain territory. We step forward...toward what is not fully known or seen. That is why it is called faith. There are times we can't see what the road ahead looks like. In fact...it may look like we are stepping off at the deep end. But faith is visualizing the future. It's believing it before it can be seen. 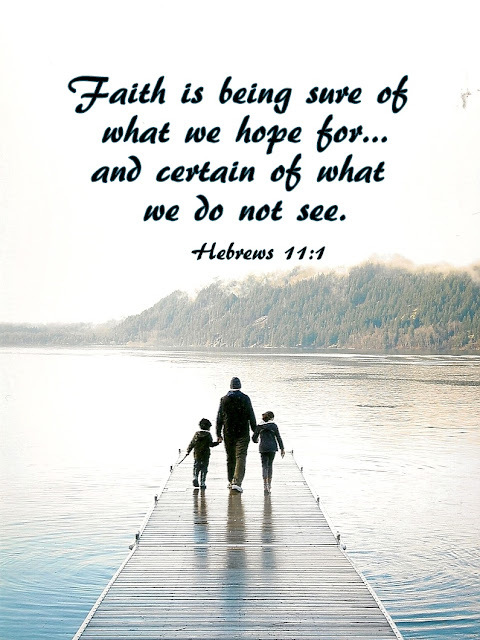 It is that first step into the unseen that proves we have faith. As we move forward we will see God open the way. I was challenged by Hebrews 11:1 some weeks back...and have been thinking about it since. If you are like me...fear often wins over faith. Here's the challenge for me (and maybe for you)...to start moving even if I can't see what lies ahead and trust God! Love that line... we will see when we believe! Thanks, Judy!